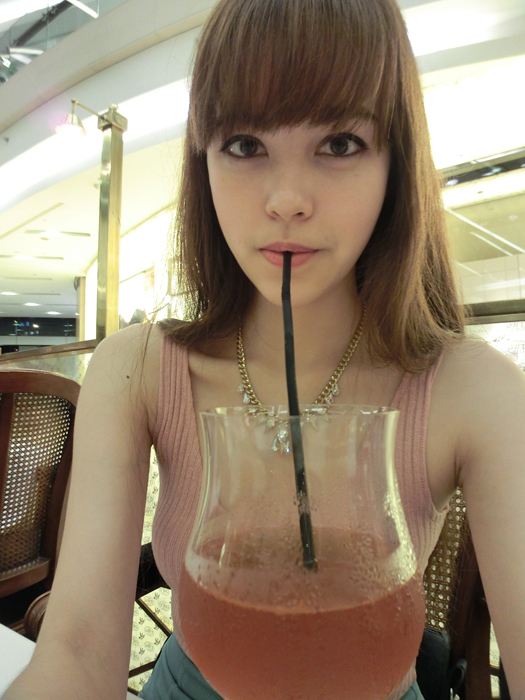 Went for the YSL Beauty Ion store opening the other day! They now have a store dedicated purely to YSL beauty & fragrance products at Ion, located at #B2-24! So I turned up at Ion, walked into the event area & bounced up to Yutaki. Yutaki: "ARE YOU WEARING MAKEUP?!" Hurried off to a nearby lift lobby corridor to apply my makeup hahahahaha. I don't actually recall taking this picture or how I even got this effect lol. YSL counters erected to give a preview of the products to be expected at their store! Chocolate strawberry & Miyake's cute nails! I've tried their lipstains (YSL Rouge Pur Couture) & I really like them! Looked for a place in Ion to eat for ages! We wanted Fish & Co at first but the queue was so long, as was Marmalade Pantry's... 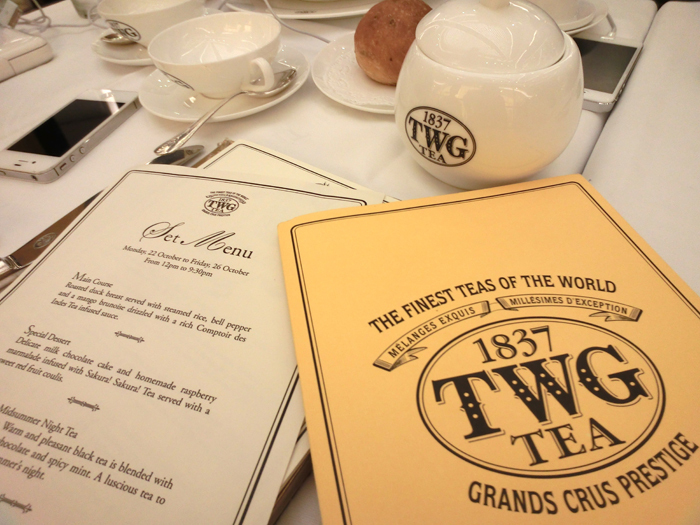 Happened to spot TWG from afar, called up to check whether they have a dinner menu (they have 2 eating areas in Ion & I had no clue whether one is only for tea/desserts or anything like that) & headed over! 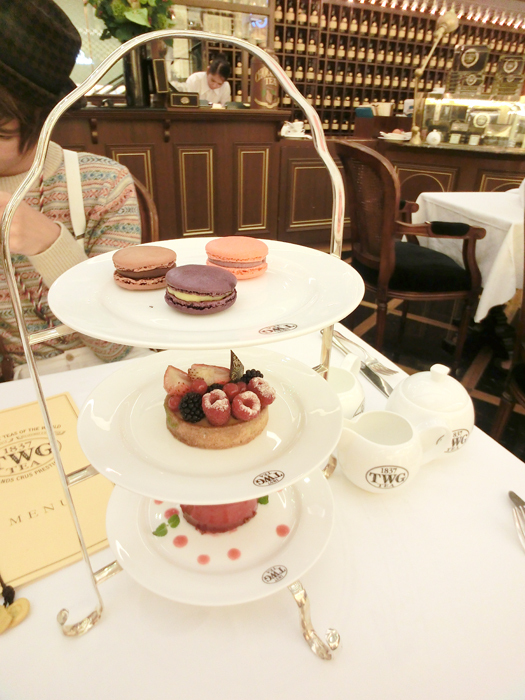 It was my first time trying TWG & I really liked it! Would definitely want to head back soon. Aside from serving a ridiculously vast array of teas, they also incorporate tea into the cooking of all dishes! Not sure how, can't particularly discern the taste of tea, but overall the food was good! 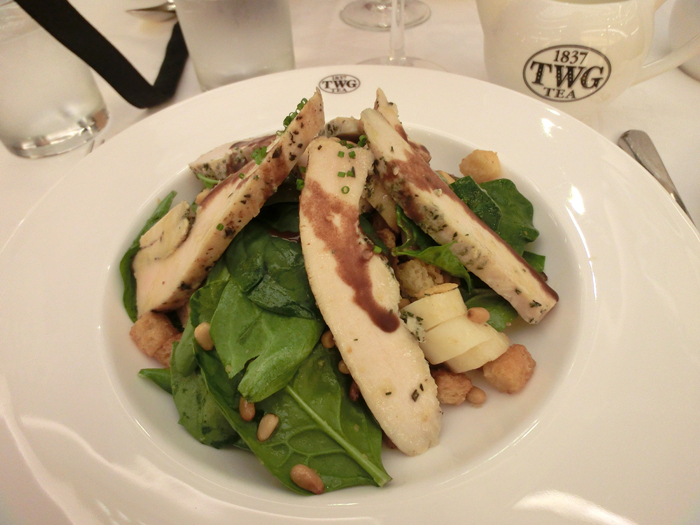 TWG is located on both level 1 & 2 of Ion Orchard if you're interested! Our teas! The teas are pretty pricey, the basic is around $7! 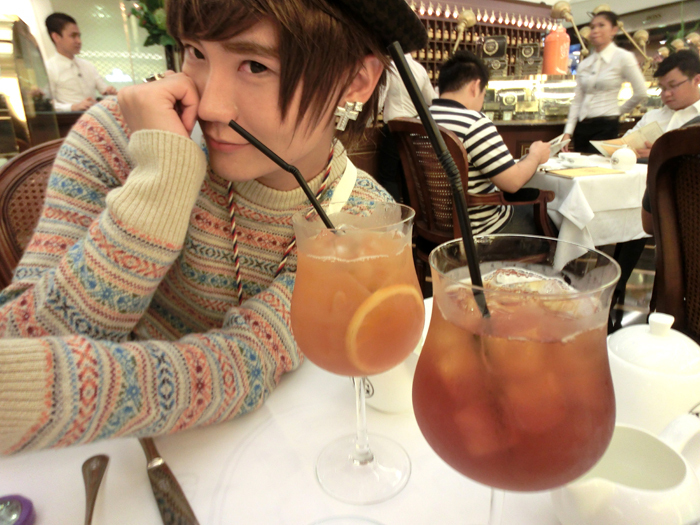 But they were good though, mine was peach & Yutaki's was lemon. My favourite was the bottom-most one! It was really good; we got it by chance because it was part of Yutaki's set meal (for which I usually assume they serve less popular desserts). The macarons were not too bad too, but the fruit tart was just alright; the crust was a bit too hard. iPhone-snapped OOTD with my new shoes! I bought these from New Look & changed out of my green wedges, which were also from New Look haha. Both pairs were purchased on sale, costing around $30/each! 13 comments on "YSL & TWG"
I really like it your outfit looks really cute! I like the combination! I think your shoes are really cute"
Nothing wrong with you being even taller, because it's even easier to notice your beauty! I love your new shoes, really pretty!! omg you make me jealous of your height!! :( guess is the benefit of being an angmoh. 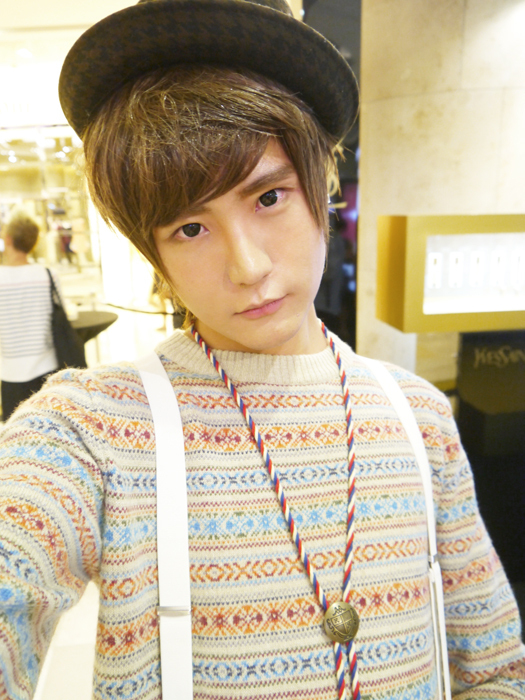 :( haha~ loved your makeup for the ysl event!! what lippie were you using? v chio leh! hehe.